Citroën’s best-selling model, the Citroën C3, has been crowned ‘Driving Instructor Car of the Year’ in the inaugural FirstCar Awards. The Citroën C1 city car was also shortlisted in the ‘Used Car of the Year’ category. The awards ceremony was held last night at the Royal Automobile Club in London. Citroën’s C3 supermini has added yet another headline accolade to its growing collection of honours, winning the ‘Driving Instructor Car of the Year’ prize in the FirstCar Awards 2018. 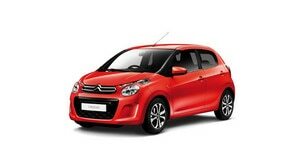 In addition, the Citroën C1 city car was shortlisted in the ‘Used Car of the Year’ category at the prestigious awards ceremony. FirstCar is the dedicated resource for learner and newly qualified drivers in the UK. The FirstCar Awards recognise and reward companies that lead the way for new drivers, by showcasing the best cars and products available in this important sector of the market, as well as celebrating excellence and innovation in driver training. Approved Driving Instructors expect a lot from their cars. As well as being an ideal learning environment for their students, a driving instructor's vehicle must often double as a practical everyday drive. 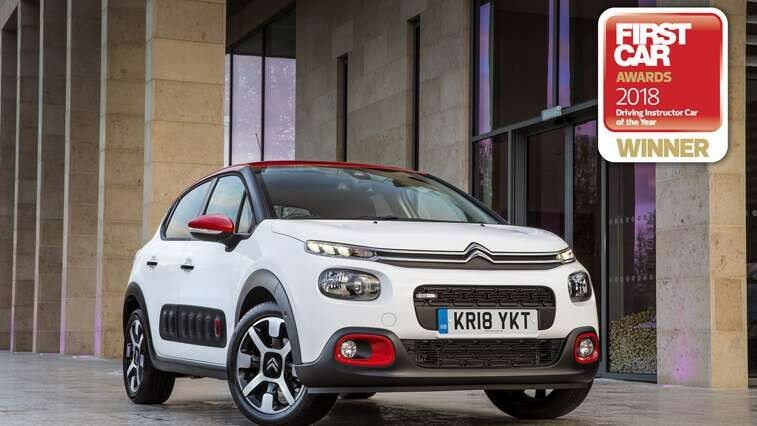 Citroën’s C3 was praised for being reliable, safe, easy to drive, affordable to run and easy to live with. David Motton, FirstCar’s Editor, said; "The C3 is a car that instructors will enjoy driving and their pupils will be excited to learn in. Not only is it a characterful and stylish car, it has a long list of safety equipment as standard. Useful innovations like the built-in personal safety camera help the C3 stand out in a competitive field." The 2018 judging panel was drawn from FirstCar's editorial team, as well as experts from the Approved Driving Instructor and road safety professions. Members of the panel included David Motton, FirstCar's Editor and UK Car of the Year juror; Paul Caddick, Editor of Intelligent Instructor; and Richard Dredge, Motoring Editor of Intelligent Instructor. The National Associations Strategic Partnership, which is formed of the three main associations supporting Approved Driving Instructors – Approved Driving Instructors National Joint Council (ADINJC), Driving Instructors Association (DIA); and Motor Schools Association (MSA GB) – helped judge the driving instructor awards. All of the FirstCar award winners will be recognised in future editions of FirstCar’s magazines, as well as online at www.firstcar.co.uk and through FirstCar’s social media channels. Souad Wrixen, Citroën UK’s Marketing Director, commented; “We are honoured that the Citroën C3 has won the ‘Driving Instructor Car of the Year’ title. This accolade clearly reinforces the numerous qualities of the upbeat and stylish Citroën C3 supermini.